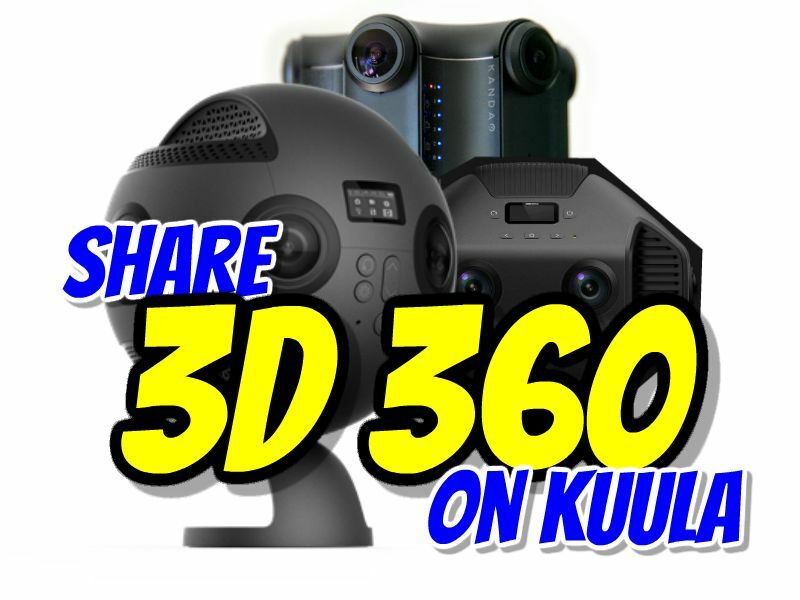 You can now share your 3D 360 photos for free on Kuula. Here’s how. Kuula is a popular platform for sharing 360 photos and illustrations. They’ve now added support for 3D 360 photos and images, with up to 8K resolution. To share your 3D 360 photo or image, simply upload the stitched equirectangular photo in top-bottom format. Kuula will then automatically recognize it as a 3D 360 image. You can also upload 3D 180 photos such as from Kandao Qoocam by converting the image to an equirectangular top-bottom format (which is one of the export options on Qoocam Studio). As with 360 photos, you can change the heading. Interestingly enough, 3D 360 photos also work with Kuula’s unique lens flare effect. Besides photos from 3D 360 and VR180 cameras, you can also upload 3D 360 screenshots from games that support Nvidia’s Ansel.